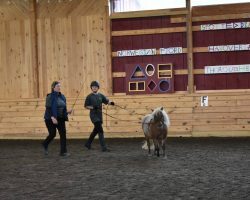 In addition to our barn program, we offer an unmounted program that has been created for those individuals who are interested in hands-on work with the horses from the ground. 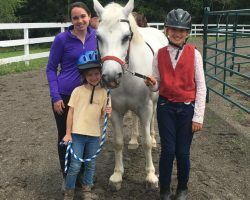 It is for those who are not ready or suited for riding or driving, those who have chosen not to ride or drive, as well as those who currently ride or drive but would like to learn additional horsemanship skills. 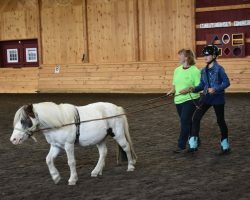 This program focuses on groundwork, free lunging, liberty work, traditional lunging, and long lining. 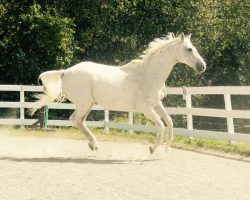 It is an excellent way to bond with our horses and many of the benefits gained from riding can also be achieved from the ground.